Rank your site HIGH on Google, Guaranteed! Free SEO proposal for your website. "We care about your privacy and do not use spam! No matter how famous your brand is, the most popular search engines determine their results through advanced algorithms, which are changing always. We understand the ins and outs involved in getting your business site to the top of the search engine result. 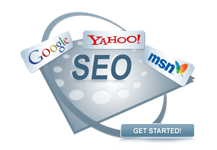 So, choose our SEO services and let us help you find missing opportunities and fulfill your business objectives." Request Your FREE SEO Proposal - Its Time To Rank High.